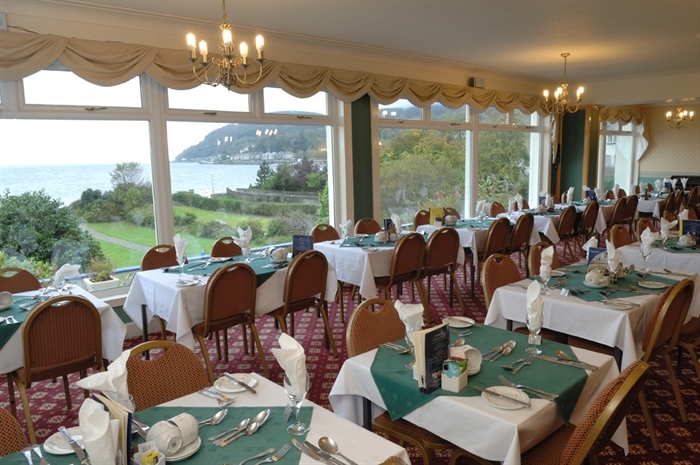 The Selborne hotel offers spectacular views across the Clyde. Set in its own gardens reaching down to the promenade and waters edge, all the ground floor public areas including the bar lounge, restaurant and TV lounge offer uninterrupted views of the busy River Clyde, and the Gantocks, where you will sometimes hear the seals and see them relaxing on the rocks at low water. 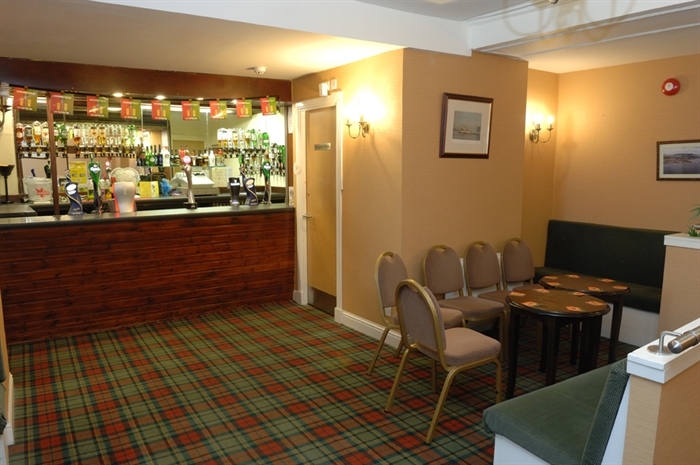 Free wireless internet is available in the bar area The Selborne Hotel is a beautiful base from which to explore the rugged mountain scenery of Argyll. The hotel has 98 bedrooms all with private facilities. Ground Floor and Clyde view rooms may be available on request. All meals are waiter service, leaving you to sit back and leisurely choose your next course from our extensive set menus. Our chefs and restaurant team serve a full traditional breakfast each morning to set you up for the day. Sumptuous four course dinners are one of the evening highlights, sometimes followed by an evenings entertainment in the bar lounge. A Highland Night on a Tuesday evening is a regular feature, and a favourite of all our guests. It includes a highland dance demonstration, bagpiper, lively accordion music and with the entertainers amusing anecdotes makes for a super evening. Other evenings entertainment feature quality local artistes. Dunoon is a resort on the Cowal Peninsula and has plenty of amenities and attractions associated with such a traditional seaside town. Dunoon nestles at the foot of the hills on the western shore of the Firth of Clyde where Loch Long and Holy Loch join the sea. 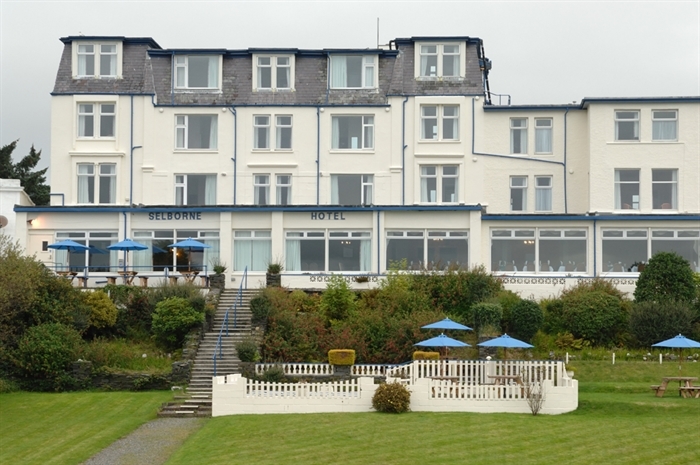 It is one of Scotland's oldest and largest holiday resorts with a fine Victorian heritage. The town has lovely gardens and century old villas which back onto a 4 mile flat promenade running along the front. Inland, but within a 15 minute amble from the Selborne, there is a modern indoor swimming pool with sauna and fitness centre, bowling greens and tennis courts and both a 9 and 18 hole golf course. There is a two screen cinema, and in the season, occasional entertainment at the Queens Hall and at the towns Burgh Hall. The resort stages internationally recognised jazz and dance festivals and plays host to the Cowal Highland Gathering, the biggest highland games festival anywhere in the world, taking place on the last full weekend of August each year. The beautiful town of Inveraray is but 50 minute drive from Dunoon, passing Adkinglas Gardens at Cairndow, home to one of the tallest trees in Britain. Within an hours drive, you could be sitting on the banks of Bonnie Loch Lomond, taking in the majesty of the Southernmost Munro, Ben Lomond.